29 Homa Bay ODM MCAs may face disciplinary action from the party after violating the party constitution. The MCAs participated in the ousting of the Assembly Majority leader Richard Ogindo, his deputy Ruth Ombura majority whip Sophy Koweje and her deputy Esther Dualo. In a letter from the party Secretary General Edwin Sifuna dated 17September 2018, the MCAs have seven days to show cause in writing as to why disciplinary action should not be taken against them. “My office is in receipt of reports that in defiance of the party regarding the matter of leadership in the Assembly, you went ahead to congregate and purport to effect changes to the Assembly leadership,” reads part of the letter. “It is required of you to observe discipline, the party codes of conduct which you signed and to obey lawfull decision of the party as provided under article 5.3.1(e) of the party constitution. Your action constitutes gross mid conducts with the meaning of article 5(3) of the ODM constitution and codes of conduct, said Sifuna. The SG further warned the MCAs the party will proceed to initiate disciplinary proceedings without further reference. Walter Were was elected as the new Speaker Julius Nyambok his deputy, Dan Were(Majority whip) and Mary Ojala was elected as the deputy majority whip. The election was however rendered null and void by the party Executive Director Oduor Ong’wen. Ogindo was accused of poor leadership, misappropriation of Assembly funds, divisive politics and lack of respect to other elected leaders including the MCAs. The illegal action which took place almost a month a go is seen as in line with the 2022 top County leadership. 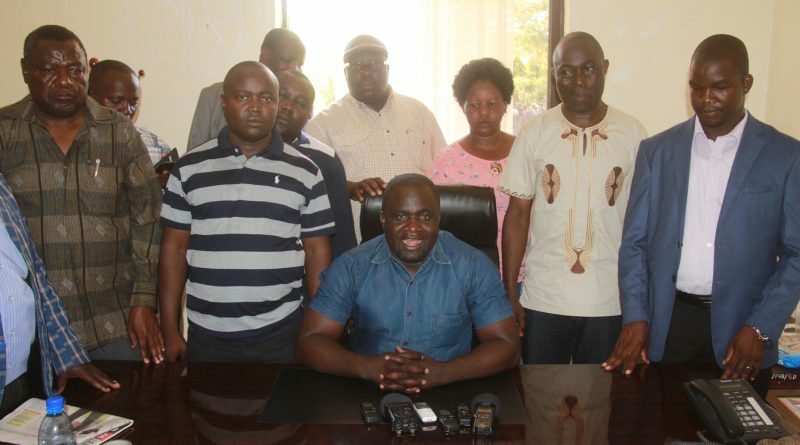 It is believed that some of the elected leaders who are eyeing the Homa Bay Governor seat and wants to have control of the Assembly for support. Homa Bay Woman representative Gladys Wanga,ODM National Chairman John Mbadi are some of the current serving leaders who have declared their interest in the seat comes 2022 general elections. Ogindo led team is seen to be aligned to Wanga while Ware’s team is said to have a blessing from Mbadi. Mbadi even met the controversial MCAs who illegally ousted the current leadership a day to the election.